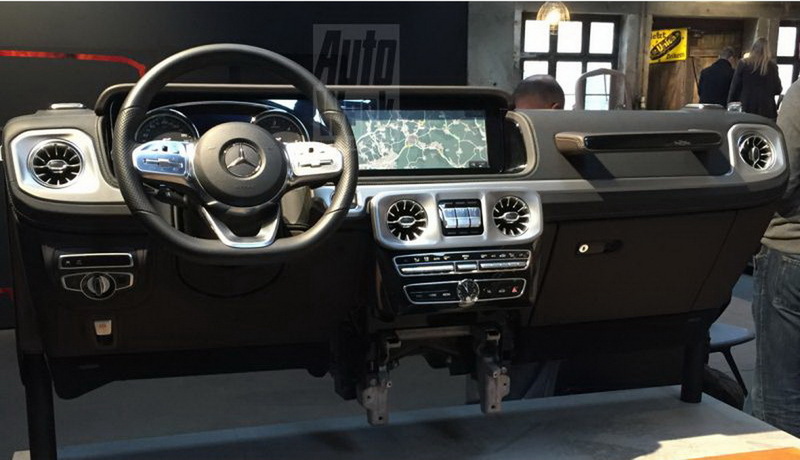 Images revealing the dashboard layout of the next generation Mercedes G-Class have surfaced online courtesy AutoWeek.nl. The two images were eventually taken down, but not before they found their way to multiple web portals. The images are in agreement with another leak that surfaced more than a year ago in July 2016. 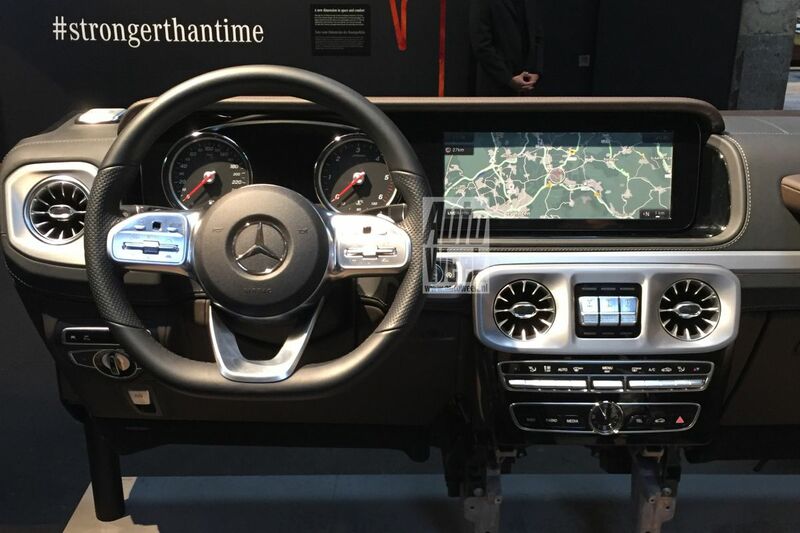 The G-Class' dashboard borrows bits from current Mercedes-Benz products. For instance, the steering wheel comes from the 2018 S-Class, while the aircon vents are shared with the 2018 E-Coupe/Cabriolet. The overall design blends the utilitarian feel of the current G-Class with modern bits borrowed from current Mercedes-Benz offerings. The flat bottom 3-spoke steering wheel comes from the 2018 Mercedes S-Class, while the air con vents have been borrowed from the 2018 E-Class Cabriolet. The utilitarian appeal remains intact thanks to bits like the passenger side grab handle and analogue instrument console. Sitting atop the air conditioning vents is a rather large screen that acts as the interface between the driver and Merc's COMAND module. Most of the switchgear has also been picked up from the current Mercedes-Benz parts bin. On the left, right under the headlamp knob there appears to an electronic parking brake toggle, which means the 2018 Mercedes G-Class will ditch the conventional hand operated parking brake. The centrally mounted display is bigger and has been incorporated into the dashboard, unlike the current model's smaller floating screen. According to a report from September 29, the next-gen G-Class (W464) could make its debut at the NAIAS 2018 (Detroit Auto Show 2018) that opens January 14. The SUV will retain its iconic boxy design incorporating modern design elements. There will be three variants on offer - G500, G350d, and AMG G63. The G500 4x4^2 and AMG G65 variants will be dropped.